PYEONGCHANG, Republic of Korea, Oct 16 2014 (IPS) - Bamboo Avenue is a two-and-a-half mile stretch of road in Jamaica’s St. Elizabeth parish. It is lined with giant bamboo plants which tower above the road and cross in the middle to form a shady tunnel. The avenue was established in the 17th century by the owners of the Holland Estate to provide shade for travelers and to protect the road from erosion. Bamboo has been part of Jamaica’s culture for thousands of years, but it has never really taken off as a tool or an option to resolve some of the challenges the country faces. Last month, the Bureau of Standards Jamaica (BSJ) announced the country would embark on the large-scale production of bamboo for the construction of low-cost houses and value-added products such as furniture and charcoal for the export market. 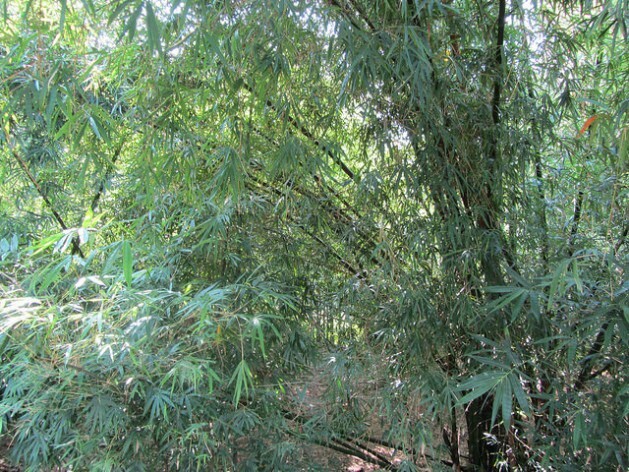 It is still in the early stages, but Jamaica is being hailed for the project which the director of the International Network for Bamboo and Rattan (INBAR), Dr. Hans Friederich, said has enormous potential for protecting the natural environment and biodiversity and mitigating against climate change. “The plant bamboo, and there are about 1,250 different species, has a very important role to play in environmental protection and climate change mitigation. Bamboos have very strong and very extensive root systems and are therefore amazing tools to combat soil erosion and to help with land degradation restoration,” Friederich told IPS. “More bamboo will absorb more CO2 and therefore help you with your REDD+ targets, but once you cut that bamboo and you use it, you lock the carbon up, and bamboo as a grass grows so fast you can actually cut it after about four or five years, unlike trees that you have to leave for a long time. “So by cutting bamboo you have a much faster return on investment, you avoid cutting trees and you provide the raw material for a whole range of uses,” he explained. The BSJ is conducting training until the end of November for people to be employed in the industry and is setting up three bamboo factories across the island. The agency is also ensuring that local people can grow, preserve and harvest the bamboo for its various uses. “It can be planted just like planting cane for sugar. The potential for export is great, and you can get jobs created, and be assured of the creation of industries,” said the special projects director at the BSJ, Gladstone Rose. 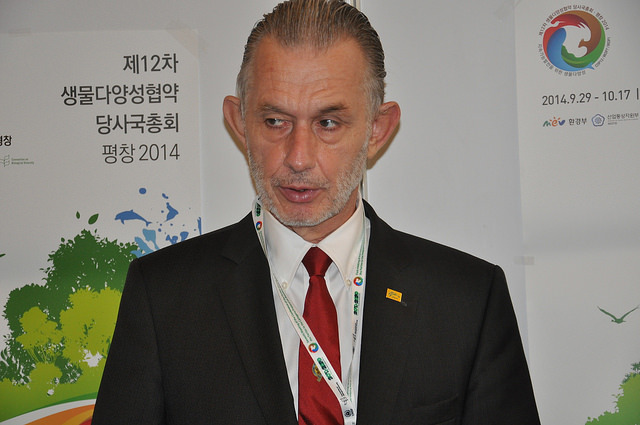 On the sidelines of the 12th Conference of the Parties of the United Nations Convention on Biological Diversity (COP 12) in Pyeongchang, South Korea, Friederich told IPS bamboos can contribute directly to Aichi Biodiversity Targets 14 and 15. Target 14 speaks to the restoration, by 2020, of ecosystems that provide essential services, including services related to water, and contribute to health, livelihoods and well-being, taking into account the needs of women, indigenous and local communities, and the poor and vulnerable. Target 15 speaks to ecosystem resilience and the contribution of biodiversity to carbon stocks being enhanced, through conservation and restoration, including restoration of at least 15 percent of degraded ecosystems, thereby contributing to climate change mitigation and adaptation and to combating desertification. “We are here to encourage the parties to the convention who are bamboo growers to consider bamboo as one of the tools in achieving some of the Aichi targets and incorporate bamboo in their national biodiversity strategy where appropriate,” Friederich said. President of the Jamaica Agricultural Society (JAS) Senator Norman Grant said bamboo “is an industry whose time has come,” while Acting Minister of Agriculture and Fisheries Derrick Kellier has admonished islanders to desist from cutting down bamboo to be used as yam sticks. “We are collaborating to spread the word: stop destroying the existing bamboo reserves, so that we will have them for use,” he said. Kellier said bamboo offers enormous potential for farmers and others. “It is a very fast-growing plant, and as soon as the industry gets going, when persons see the economic value, they will start putting in their own acreages. It grows on marginal lands as we have seen across the country, so we are well poised to take full advantage of the industry,” Kellier said. On the issue of conservation of biodiversity, Deputy Executive Director of the United Nations Environment Programme (UNEP) Ibrahim Thiaw said there is a lack of understanding among developing countries that biodiversity is the foundation for the development. As a result, he said, they are not investing enough in biodiversity from their domestic resources, because it is considered a luxury. “If the Caribbean countries are to continue to benefit from tourism as an activity they will have to invest in protecting biodiversity because tourists are not coming just to see the nice people of the Caribbean, they are coming to see nature,” Thiaw told IPS. Jamaica’s Bureau of Standards said it is aiming to tap into the lucrative global market for bamboo products, which is estimated at 10 billion dollars, with the potential to reach 20 billion by next year. Friederich said while some countries have not yet realised the potential for bamboo, others have taken it forward. “I was in Vietnam just last week and found that there is a prime ministerial decree to promote the use of bamboo. In Rwanda, there is a law that actually recommends using bamboo on the slopes of rivers and on the banks of lakes for protection against erosion; in the Philippines there is a presidential decree that 25 percent of all school furniture should be made from bamboo,” he explained. “So there are real policy instruments already in place to promote bamboos, what we are trying to do is to encourage other countries to follow suit and to look at the various options that are available. “Bamboo has enormous potential for protecting the natural environment and biodiversity. The evidence shows that this is being seriously undervalued as a possibility for countries to engage in biodiversity protection and protection of the natural environment,” he added.